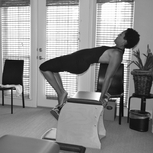 pilates, Happy Tree Pilates Murphy, TX What happens at the initial consultation? At the initial consultation you can come in and see the studio. We will discuss your goals and determine if practicing Pilates is a good fit for you. Pilates is a significant investment of both your time and money. Many people complete the initial consultation on the phone or via email.